I HAVE EXCITING NEWS from Line 1 of the Paris Metro! The 725,000 passengers who travel on this line every day, including me, are now enjoying new, driverless, automatic trains. And what’s more, we have new, up-market ‘Mind the Gap’ announcements as well. 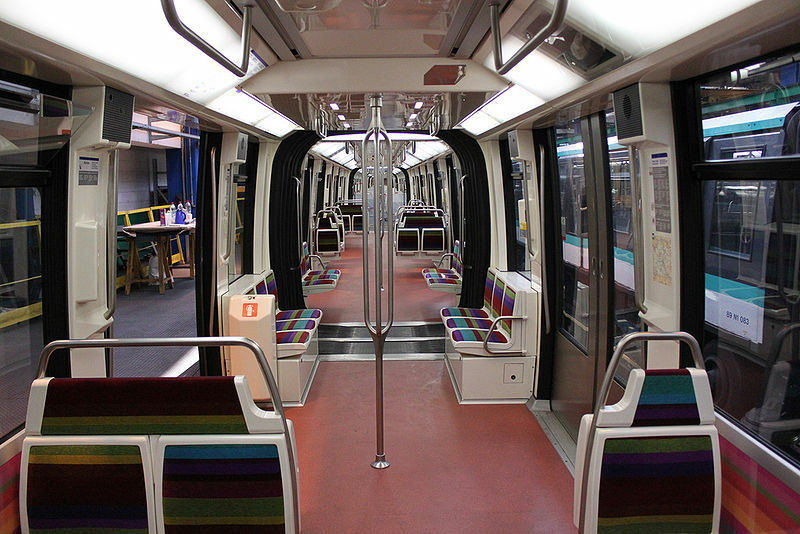 In November last year, the first automatic trains went into service on Line 1. RATP, (Régie Autonome des Transports Parisiens) the Paris mass transit authority, sent me a letter to tell me about this and to say that two new automatic trains a month will be introduced so that by the end of 2012 Line 1 will be completely automatic. Paris already has of course the world’s first fully automated Metro line, Line 14, which runs from Saint Lazare to Olympiades on a north-west south-east diagonal across the centre of Paris. The conversion of Line 1 is another first. It’s the first time that an old, working Metro line (Line 1 was built in 1900) has been converted to be fully automatic without any disruption to the service. That’s quite an achievement. The work to reconfigure the platforms and to install the sophisticated electronics began in 2008 and it’s been a long process. I know because I’ve watched it all unfold. Sometimes, it seemed that the work would never end. The new automatic, air-conditioned trains are built by Alstom and they have been designated with the appellation, MP 05. MP (matériel pneus) means that they have rubber tyres. 05 refers to the date of the original tender for these trains that was issued in 2005. These new trains are replacing the existing MP 89’s, which I’ve become very fond of since I’ve been here. The good news is that the MP 89’s will have an afterlife. As they’re removed from Line 1 they will see many more years of service on Line 4. As if all this wasn’t exciting enough I have even more exciting news! The new, automatic trains on Line 1 have new announcers and a special new announcement for ‘Mind the Gap’. A source inside RATP, the man responsible for the sound identity of the Paris Metro, has given me some really interesting information, which I’m delighted to share with you. RATP take their sound identity very seriously. They have introduced foreign languages for some announcements and they pay particular attention to their authenticity by using native speakers. French and English are always present but they add other rotating languages, German, Spanish, Italian and Japanese. There we go, ‘Mind the Gap’ in French, English, German and Japanese. The male voice used in this announcement is a British RATP staff member working in the marketing department. The French female voice is a former metro train driver on Line 1. 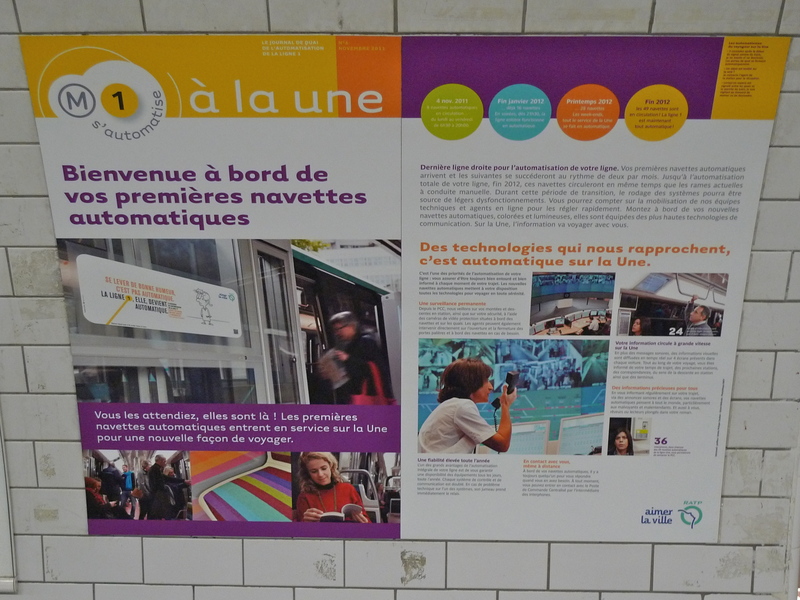 Well done RATP not only for excelling at converting Line 1 to automatic without any disruption but also for having the foresight to give such a high profile to the sound identity of the Paris Metro. I can’t help wondering what Fulgence Bienvenüe, the one-armed railway engineer and ‘Father of the Metropolitan’ would make of it all. I like to think he would approve. 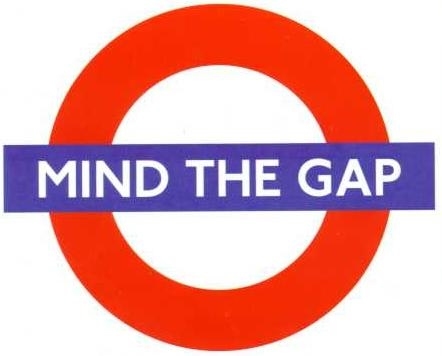 IN JANUARY THIS YEAR I produced a blog piece entitled, “Mind the Gap”, a piece in which I gave an account of how the French Metro announcers communicate the warning, “Mind the Gap”, to an unsuspecting travelling public. Since then, I’ve made several trips on the London Underground and they too of course have their “Mind the Gap” announcements. Having recorded these announcements in both English and French I thought you might like to hear a direct comparison. It occurred to me that to have a collection of “Mind the Gap” announcements from different countries in different accents and different languages might make for an interesting sound art piece. Do you have a “Mind the Gap” recording from your country and in your language that you would like to share? If so, just send me a comment and I’ll get in touch. I USED TO BE AN aficionado of the London Underground – or the Tube as they call it over there. I prided myself on being able to travel around London on the Underground with ease and without having to use a map. Not any more I’m afraid. After twelve years of living in Paris, most of what I used to know about the London Underground appears to have been consigned to some dark corner of my brain, seemingly lost forever. 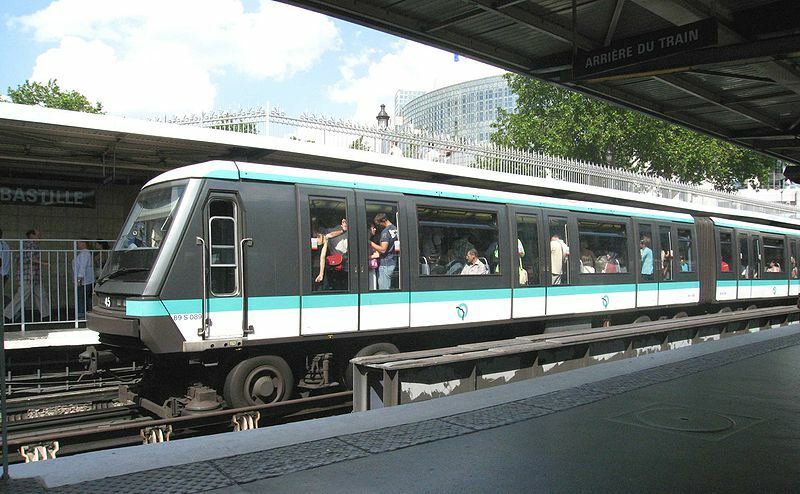 Health a Safety and litigious customers travel with the wind so, not surprisingly, “MIND THE GAP!, has travelled across La Manche to the Paris Metro – although, as so often, the French do it far more elegantly. As always, The French use three words for every one word in English so “MIND THE GAP!” becomes, “Attention a la marche en descendant du train” – more of a request than a command. The question is: “What constitutes a gap?” And how big does the gap have to be to warrant an official warning to the great travelling public? Who decides? This gap at the Metro Station Concorde on Line 1 warrants a warning, as does a similar gap at Charles de Gaulle – Etoille. Several other platforms have a similar warning but the same gap on other Metro station platforms do not. Why? Line 1 from Tuilleries to Concorde – including advice about “pickpockets” and, of course, “MIND THE GAP! 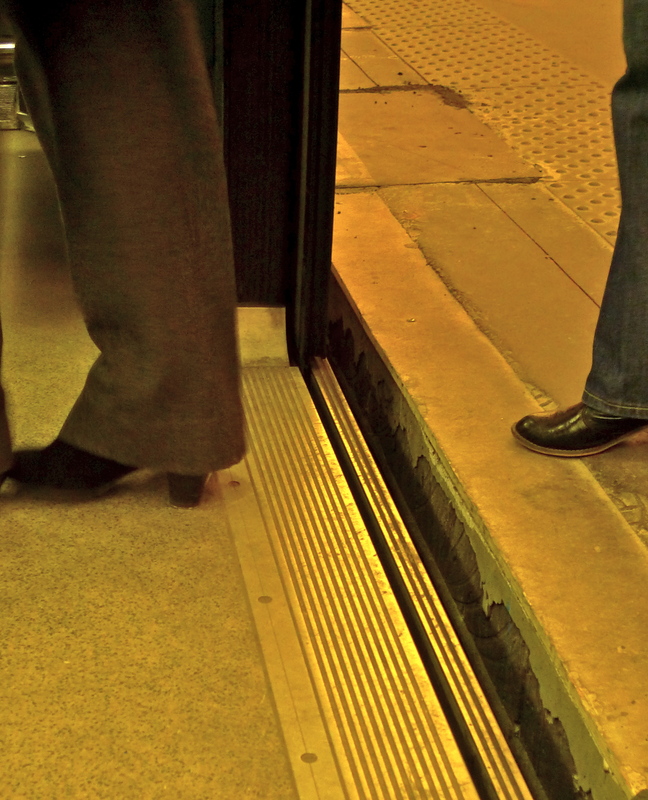 Wherever you travel, stay safe and, above all, “MIND THE GAP!” – with or without a warning!